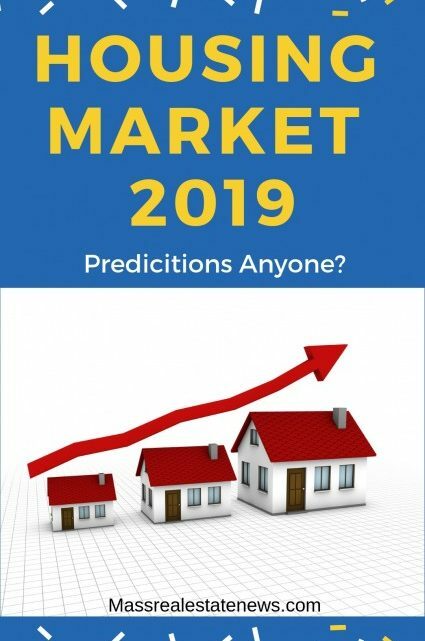 How Will Real Estate Markets Perform in 2019? It’s no secret that the past few years have been great for the U.S. housing market. Home prices have continued to climb, mortgage rates have remained attractive for borrowers, and the market in most places has seen a continued resurgence. But 2018 ended on a surprising note, with price growth slowing and the market switching towards being in favor of buyers again. In the past, housing market experts have seen home prices increase by around 5% each year… but what does this year hold for the housing market? 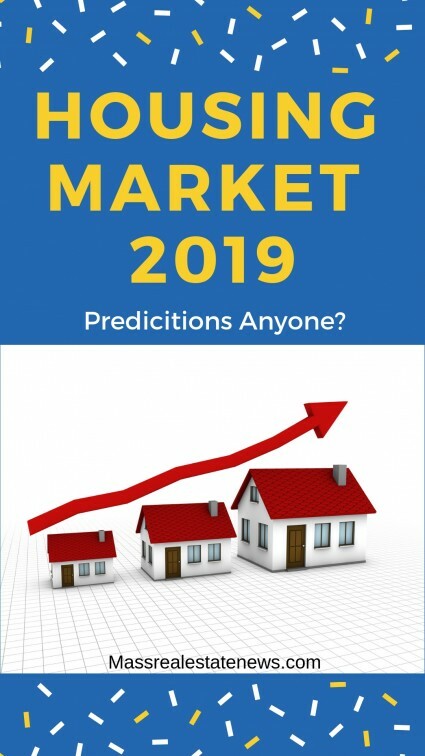 Let’s take a look at a few housing market trends experts predict for 2019. Will markets continue to favor sellers or are buyers going to be better positioned to purchase homes at lower prices? First and foremost, yes, prices of homes are still on the rise in most places. According to the National Association of Realtors, the average home price will increase by 3.1% to around $266,800 this year. However, experts say home prices are increasing at a slower pace than previous years. But not all prices are increasing — houses for sale in regions with fairly weak housing markets are at risk of a price decrease as well as those homes in metro areas with booming markets. Additionally, according to Ralph DeFranco, global chief economist for Arch Capital Services, metro areas that attract professionals and foreign buyers are expected to have fair prices. But all in all, home prices continue to increase, although prices do vary from region to region. In the Metrowest Massachusetts area about twenty-five miles outside of Boston, real estate values are predicted to remain fairly stable for 2019. Inventory right now is still tight. While that should change in the coming months, supply is expected to be inline with demand. In speaking with Bill Gassett, the owner of Massachusetts Real Estate News, he suggested his market should remain fairly stable. Gassett doesn’t see the real estate market experiencing a dramatic change. He does expect that local real estate markets will be less crazy, including fewer homes with bidding wars. Balance is the key word he used. Unfortunately, as home prices are rising, the affordability of homes is declining. As homes become less affordable, the number of homes being bought is also going to decrease — in fact, experts predict that overall home sales will decrease by about 2%. Home buyers are having to deal with higher home prices as well as increase mortgage rates. According to The Washington Post, mortgage rates will climb to 5.8% this year. We don’t expect them to reach that high. A more plausible scenario would be in the mid four percent range. But in the past, increased rates have caused only temporary decreases in home buying. Homeowners this year may face higher credit risks, with higher debt-to-income ratios. This, again, contributes to lowered affordability. So while home prices continue to rise, buyers are going to continue to struggle to actually afford a house. This may contribute to an already unstable housing market. Fortunately, the U.S housing market isn’t going to deal with a bursting housing bubble any time soon. While the affordability of homes is low and buyers are struggling in this market, the quality of loans, debts levels, and vacancy rates remain steady. So while the market isn’t great, there isn’t a high chance of mass amounts of people losing their homes due to a market crash. Despite the fact that fewer people are buying houses, millennial’s continue to make up a large portion of the buying market. According to Danielle Hale, chief economist for Realtor.com, millennial’s will account for 45% of mortgages — this is compared to 37% of Gen Xers and 17% of Baby Boomers. First-time home buyers still have plenty of obstacles to overcome, like rising costs and high mortgage rates, but, contrary to popular belief, millennial’s are buying homes. The biggest group of millennial’s will be nearing twenty-nine this year, which is a popular home-buying age, and these older millennial’s are said to have a better chance of buying homes in mid and upper-level priced homes. These millennial’s are expected to be the biggest age group to buy homes this year. As they are no stranger to overcoming obstacles, experts predict millennial’s will continue to be the largest group of home buyers over the next several years. With all of that being said, will 2019 be a better year for buying a home? Experts say that although prices are on the rise right now, there is a possibility that prices could go backwards. It is anyone’s guess right now as many real estate markets have become more fragile. Given the uncertainty more consumers are looking toward their real estate agent for expert guidance. However, home builders are also playing a big role in how steady the market is. If home builders continue to construct only luxury homes or not enough homes at all, the market is going to be tight for potential buyers this year. Over the past few years, the market has slowly but surely made its way to be more in favor of entry-level buyers, which is what the market needs right now. But experts don’t see a complete shift to a buyer’s market anytime soon. So with increasing costs and sky-high rates, 2019 may be another rough year for home buyers. This means all buyers, whether it’s a family of four, a millennial buying their first house, or someone looking to make an investment in real estate, need to be mindful when buying a house this year. How do right of first refusal clauses work in real estate – see a detailed explanation on what a right of first refusal is and how it can be used in a real estate transaction. What to know about asbestos when buying or selling a home – did you know that exposure to asbestos can cause cancer? See what you need to know when their is asbestos present in a home. Home inspection mistakes to avoid – the home inspection is one of the biggest hurdles to clear in a real estate transaction. There is no doubt there is the utmost importance to get it right. In the article at Active Rain see what not to do when it comes to the home inspection. What to do before listing your home for sale – see tips and advice for getting your home ready before it hits the market. Preparation is the key to home sale success! Get your home ready for the real estate market – read the ultimate guide for doing what is necessary when putting your home up for sale. Exceptional home selling tips and advice. The more you think you know about real estate the less you do. Take a look at the resources above to get a good understand of important terms that can come up in a real estate transaction. About the author: Michael Shane is currently the owner and CEO of Sammamish Mortgage. He was recognized as one of the top 200 loan originators in the nation 10 years in a row and was the #1 ranked loan originator in WA State four years in a row. He has been a pioneer in promoting transparency in lending online as Sammamish Mortgage was one of the first lenders to allow consumers to price out their own loan instantly online. In my area I see inventory starting to rise and price increases do seem to be slowing. Especially in the higher price ranges. The more affordable homes and condos continue to sell quickly while higher-end homes are generally lasting longer on the market.